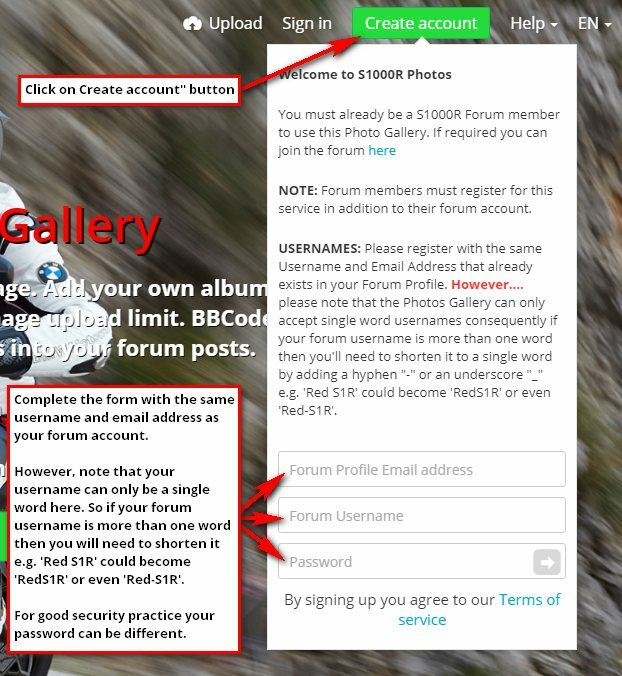 Unfortunately the photos area can only accept single word usernames, so if your forum username is two words then then you'll need to make a single word by joining the words together or adding a underscore (not a hyphen) e.g. 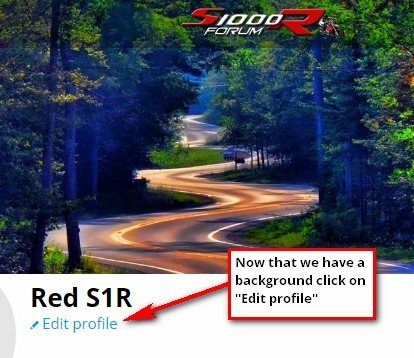 "Red S1R" could become "RedS1R" or even "Red-S1R". Go to the Gallery and login. 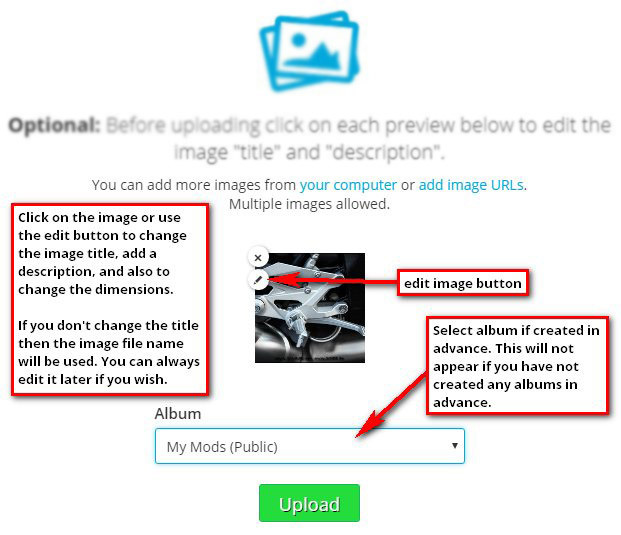 Then simply click on the "Upload" button and browse to the images on your computer or device. 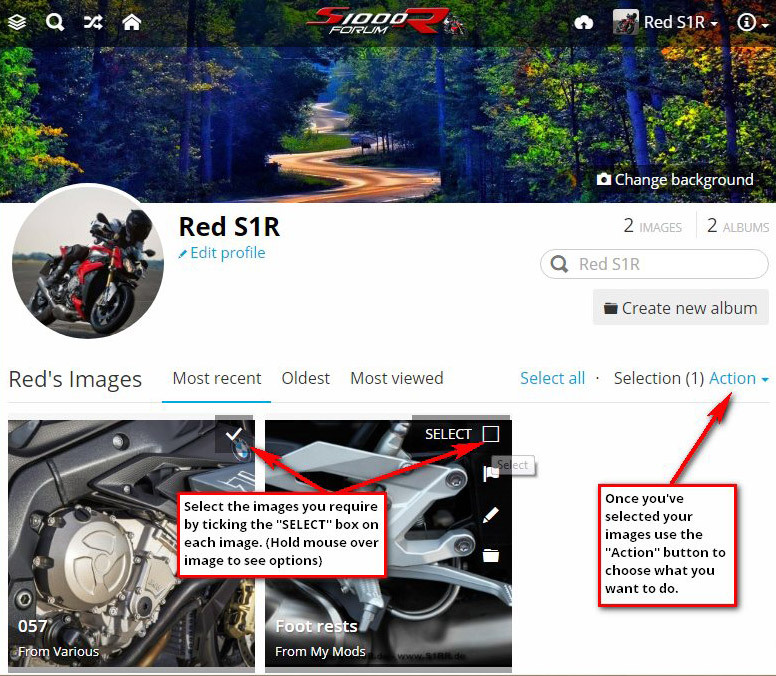 You can add single images or multiple images all at once (max 40 at a time). Images can be added by finding the file on your device or computer, or even by adding a list of urls. Max. upload image size is 5MB each. 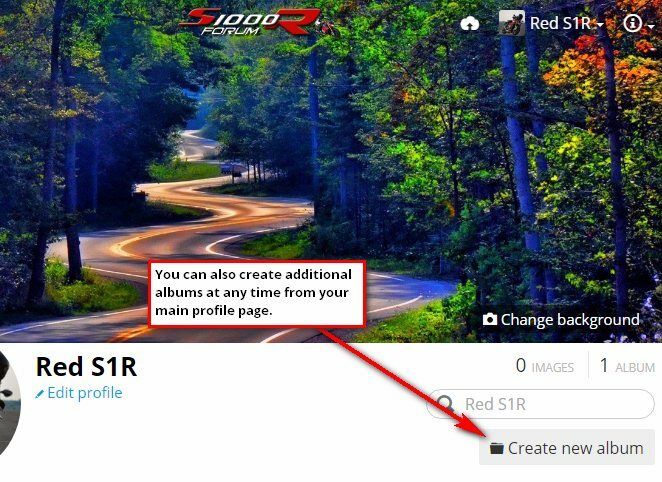 Uploaded photos essentially go into a big bucket under your name (not an album). 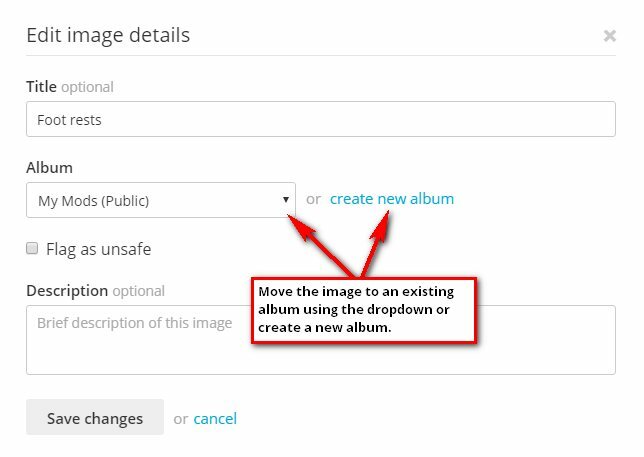 However, once uploaded you can create additional albums and move the photos between them. 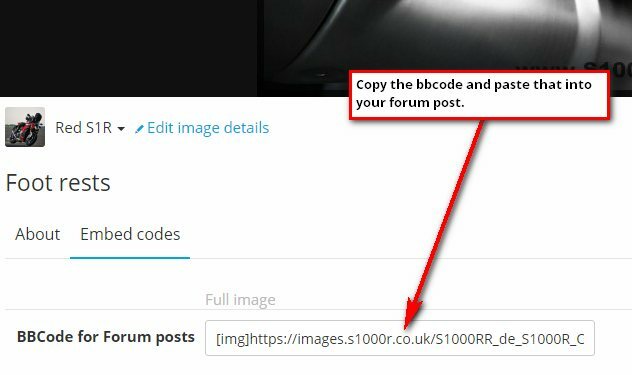 In all cases simply copy the code (the one called "BBCODE for Forum posts") and paste it into your forum post. You need to paste it on a new blank line with a blank line above and below. 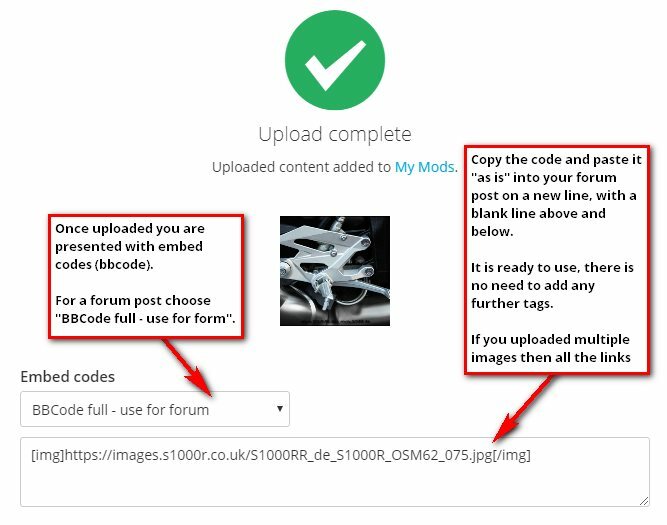 The code supplied is "ready to use" so no need to add any additional tags. When you upload images they are automatically attributed to you, although technically they are not in an album but in what could be described as a big bucket! 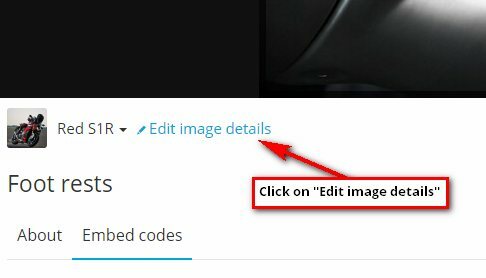 Lets say your images are already in the gallery and you want the bbcode for several of them. 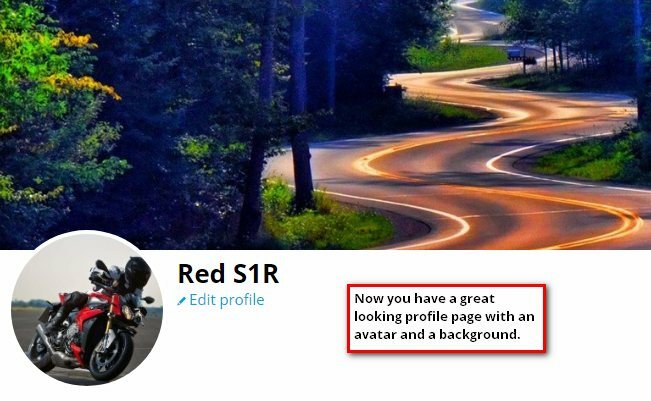 If you go to your main profile page you can select specific images. Just hold your mouse over the relevant ones and click "SELECT" (see image below). 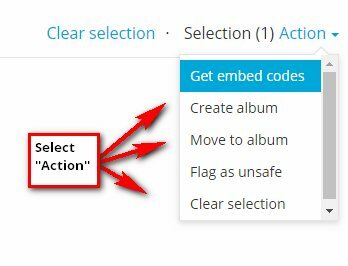 By using this method you can generate bbcode for single or multiple images, edit images, and also move images between albums. 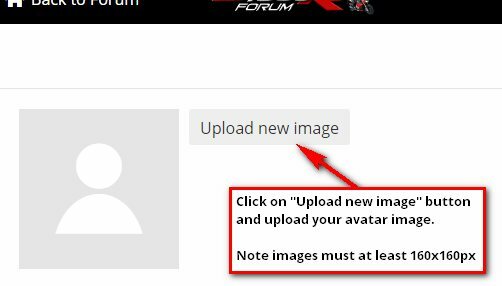 Now you have a great area where you can store your photos and if required easily embed them into your forum posts.